Not only is Earth Day coming up next week, but Topics: Environment is, too! We’ll be discussing how we can overcome the emerging environmental crisis, as well as low impact living, creating positive change and how to tackle food waste. One of our favourite things to do when we aren’t working on Vevolution, is to brush up on our favourite topics in the plant-powered world. There are so many inspiring thought-leaders out there writing brilliant books at the moment (and so many have done in the past). From easy-reading, to environmental classics, we’ve listed a few of our favourite books on sustainability. Published in 1962, this was one of the most important environmental books of the 20th century - so we absolutely needed to include it. Rachel Carson was a pioneer in nature writing, and her world famous book, Silent Spring “warned of the dangers to all natural systems from the misuse of chemical pesticides such as DDT”. This book is an environmental classic, which inspired so much positive change in the movement. This Changes Everything is an international bestseller, and a book that defined an era. Naomi explores and exposes myths in climate change. She points fingers at capitalism, and states it to be the biggest problem in climate change, as opposed to carbon. Naomi takes on this topic fearlessly, and the book makes for an overall hopeful and ambitious work. 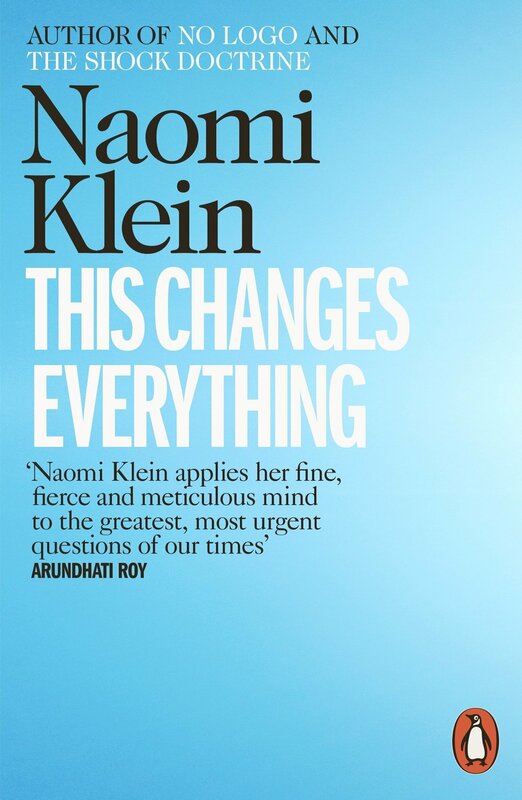 If you enjoy This Changes Everything, you should also consider reading Klein’s other bestsellers, No Logo and The Shock Doctrine. This book is a guide to becoming the most sustainable and ethical version of yourself. Nour has put together this 49 page e-book full of information, tips and resources about how to live a sustainable lifestyle. The e-book tackles basics, home and beauty, food, fashion and travel, and it also contains tips from different sustainable influencers. A follow up to Cradle to Cradle, McDonough and Braungart picture how society could begin to rewrite the future regarding our role in the natural world. “The best-selling authors offer numerous fascinating scenarios in which humans transcend the role of mere stewards of the planet.” It’s ambitious and inspiring, and just like Carson’s Silent Spring it holds a positive message. Put simply, the authors propose that humanity begin to design products to be environmentally friendly, and substitute them with the products that have a toxic footprint on the Earth. Freelance writer and photographer, Jen Chillingsworth, regularly writes about slow living, eating seasonally and green issues on her blog Little Birdie. Live Green is a practical guide of 52 changes (one for each week of the year) that you can make at home and in your life to reduce your footprint. The tips range from making your own cleaning products, to having an eco-friendly Christmas. This makes the perfect easy-reading, handy book to keep on your coffee table all year round. “How to create a company that not only sustains, but surpasses - that moves beyond the imperative to be “less bad” and embrace an ethos to be “all good”.” This book proposes the best ways that companies can work to being part of building a better future. The Responsibility Revolution is a fantastic book with fresh ideas and clear directions for businesses that want to create positive change, but don’t know where to begin. Under 2 weeks from now, we will be hosting Topics: Environment in Camden Town! We are so excited to bring together pioneers of the environmental movement, and get inspired by all of you! Expect to come away full of inspiration to help you live a low-impact life and be part of the solution for a more environmentally friendly future.